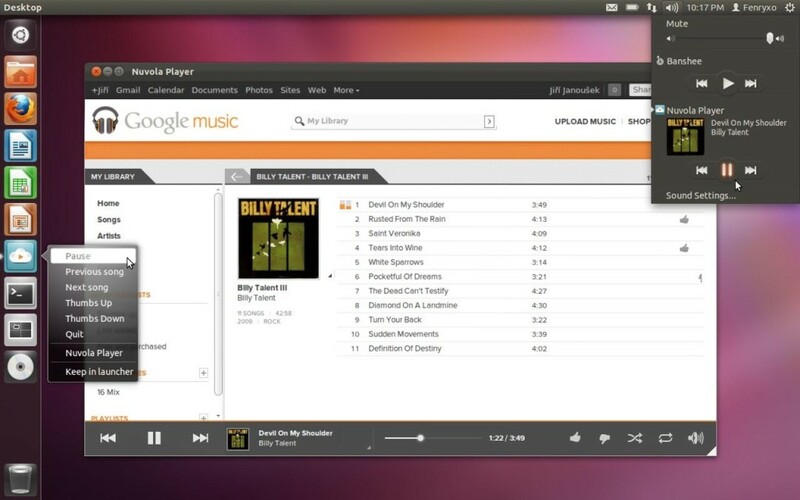 Nuvola is a cloud music integration for your Linux desktop. It supports Google Play Music, Amazon Cloud Player, 8tracks, Grooveshark, Hype Machine, Pandora, Rido. Although the maintainer has discontinued the development of this project, it’s still available for Ubuntu 13.10 Saucy, Ubuntu 13.04, Ubuntu 12.04 and their derivatives on its PPA. To get started, press Ctrl+Alt+T on your keyboard to open terminal. When it opens, run command below to add the unstable PPA which works great on my laptop.